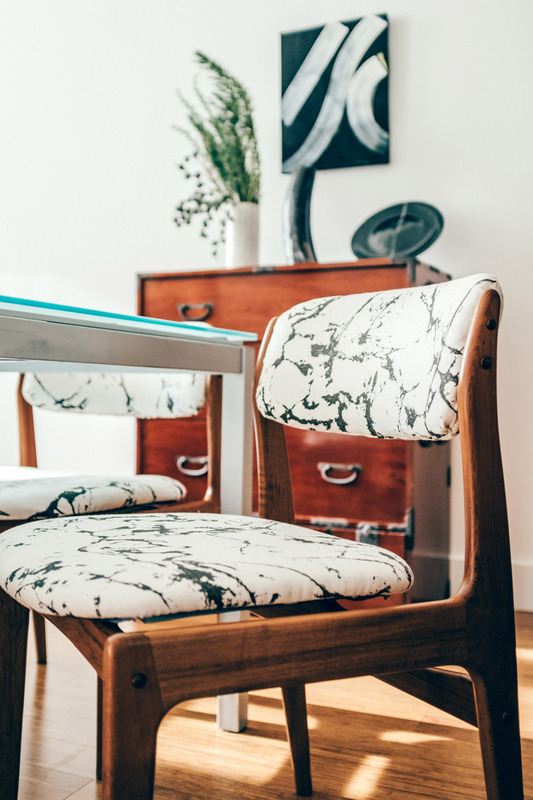 Fabric used for chairs of any shape, size or use should be durable – so you can really live in them and not have to treat them as precious objects. Chairs do offer an opportunity to use a “statement” fabric – something that stands out and adds a point of interest in the room. Either with texture or with pattern – or color. Decorative pillows should look good and definitely feel good. 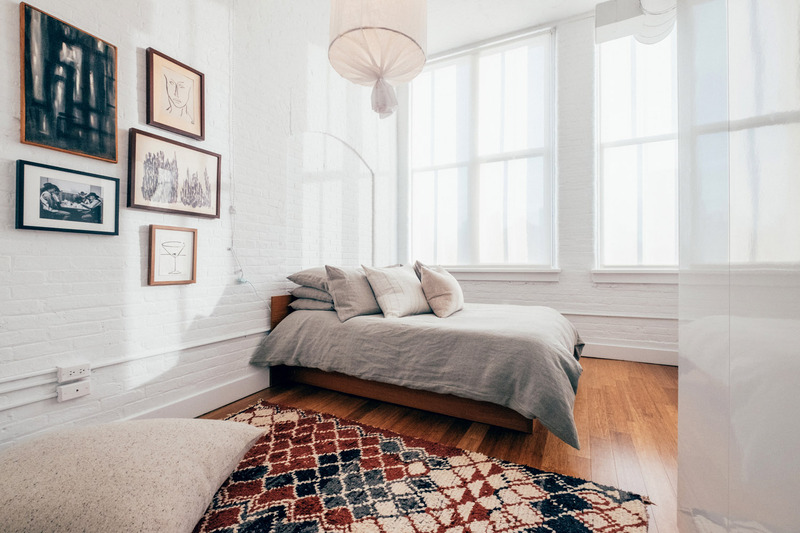 They should be something that you want to fall asleep on and cuddle with – but at the same time, they should add some character or another layer of beauty to a space. 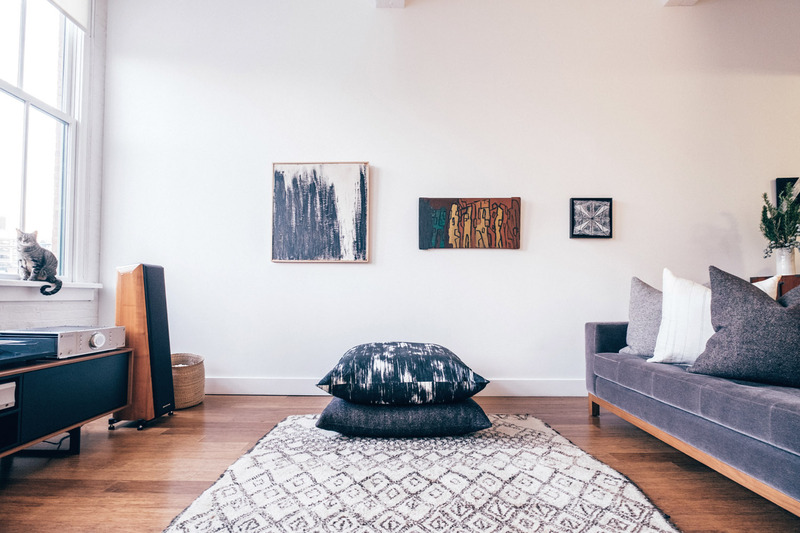 Like decorative pillows, floor pillows should look and feel good. Unlike decorative pillows though, they should definitely be made up in a heavy-weight, very durable fabric. 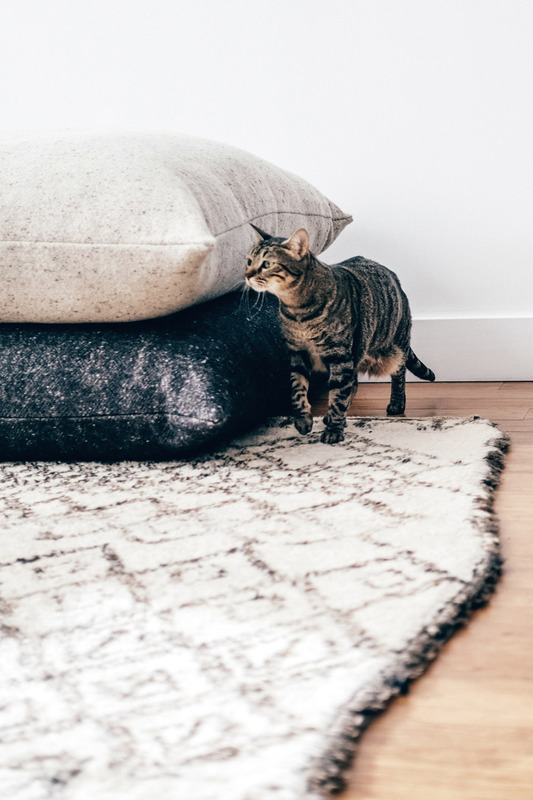 Floor pillows are treated more like furniture than regular pillows are and the fabric used for them should work accordingly – more of a hearty, upholstery weight fabric is best. I think that any kind of bedding should be entirely made up of natural fibers. The sheets should be soft and light and the duvet should have some weight to it to provide a sense of calm while sleeping. Natural fibers (especially cotton and linen) will feel cool on the skin and still keep you warm on cold nights. It’s a beautiful way to sleep – or to just lounge around. For drapery, the lighter the weight, the better. 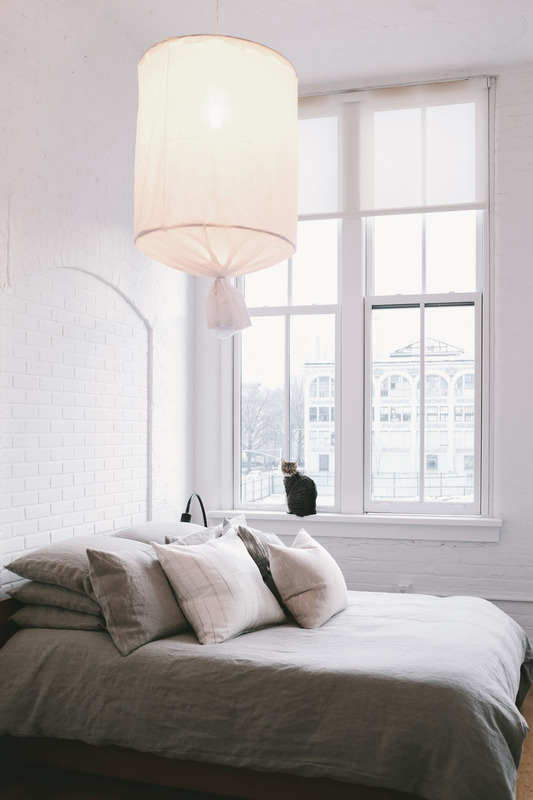 I prefer to let an enormous amount of light in and love how a sheer will diffuse it and create softness in a space. We even used a sheer fabric for our pendant that we made ourselves, we found that it really dims the brightness while still letting it stream through. I love cats – absolutely love cats. And cats absolutely love (or hate?) all fabric that has been used on any upholstered item in your home – especially sofas. 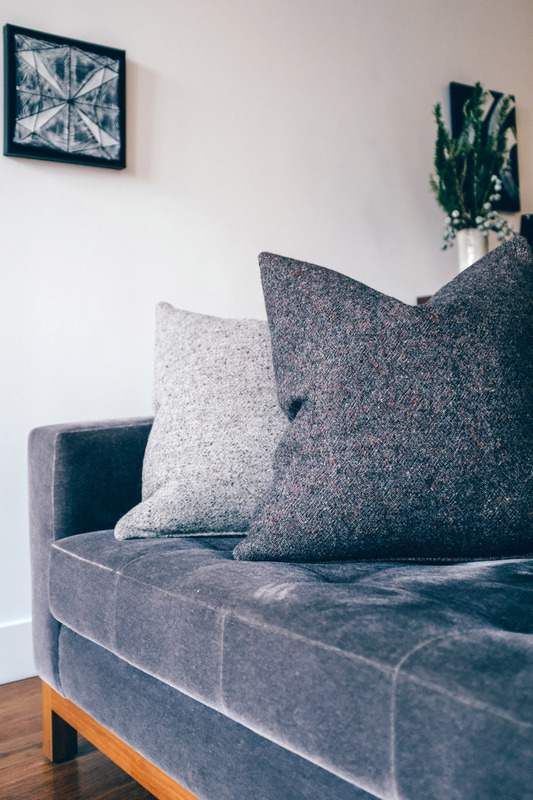 The best way, in my experience, to avoid those special claw marks, is to use mohair on your larger upholstered pieces. Apparently, mohair is not satisfying on the paws and (even though a cat will try) he or she won’t scratch these fabrics for long. Ever start to search for the perfect fabric to recover a chair or use as a window treatment, only to be confused abut what to pick? Or wonder if the pattern you are considering will add the desired pop to your space? Or maybe you are tired of your cat ripping your textiles to shreds? 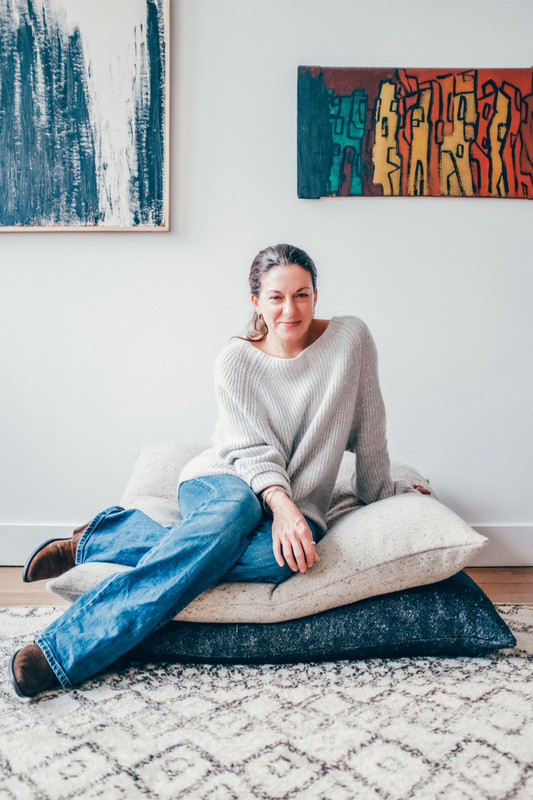 Here to help is textile designer Michele Dopp of Fabric & Steel! See Michele’s advice for what fabrics to use for upholstery, pillows, bedding, and more in the slideshow! 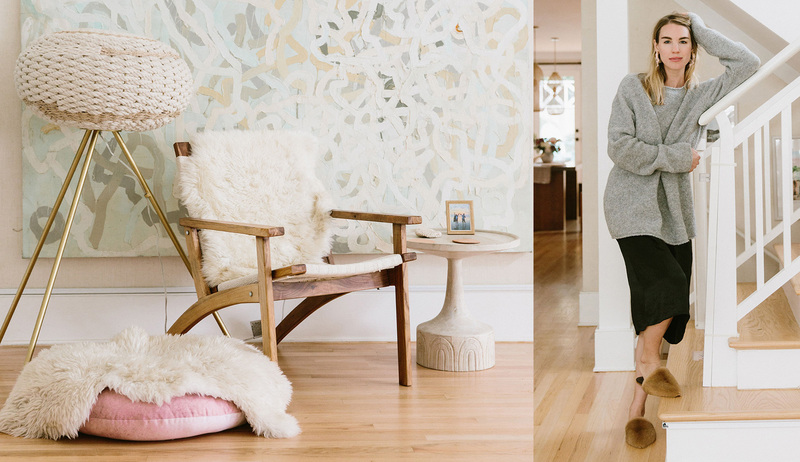 Illustrated with images featuring Michele’s fabrics in her lovely Vinegar Hill home in Brooklyn.